I saw this sign the other day at a field in Leawood City Park in lovely Leawood, Kansas – a suburb of the great city of Kansas City, MO. 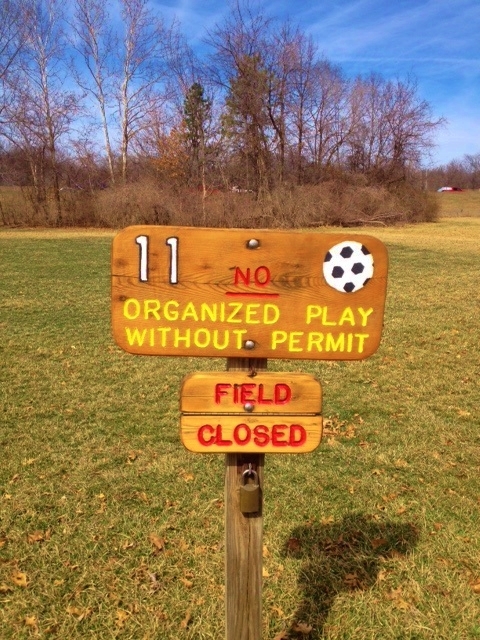 The sign announces that no organized play is allowed, presumably because you need a permit or something to use the field for your sports league or whatever. I totally get it – but is still made me laugh. 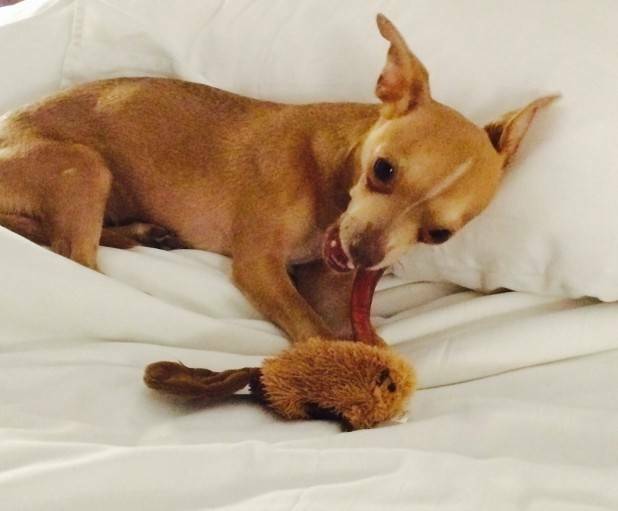 It makes me a little sad that there are so many organizations dedicated to saving dogs and cats – because it shows the scale of the need. However, I am glad there are fine folks out there like The Shelter Pet Project that are committed to this important work. 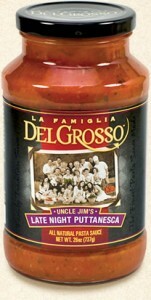 Ok, so if you are looking for a fine pasta sauce that is better than the usual supermarket fare, you can’t go wrong with Uncle Jim’s Late Night Puttanesca – if not just for the name. Uncle Jim’s Late Night Puttanesca is available from La Famiglia DelGrosso. However, it is hard to find glass bottles that are practical to carry around and use every day. 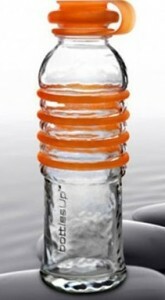 That is why I fell in love with the bottles from BottlesUp. Learn more about BottlesUp here. Finally today, I adore this vintage-inspired Letterpress Cowboy Postcard by Hammerpress I found available from Domestic Domestic. 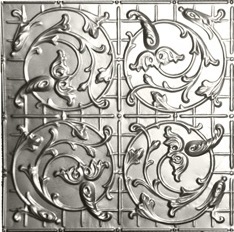 See all the great products available from Domestic Domestic here. I love nonfiction books about English history – specifically about the monarchy. The reason is that the antics of the kings and queens – and their courts – over the centuries is more compelling than any novelization of any reign. Seriously, the history of England’s monarchy is full of stranger than fiction stories that are even better because they are true. Such is the case with story told in the wonderful new book, Killers of the King: The Men Who Dared to Execute Charles I by Charles Spencer (yes that Charles Spencer). We are treated to the story of those who plotted against King Charles I and the subsequent retribution they endured, all of which played out like a 17th century revenge flick. Charles Spencer is fine historian and uncovers a truly fascinating, and little known, corner of English history and presents it is a very readable and entertaining book. Now we just have to wait for a film version of the story, perhaps starring Liam Neeson. 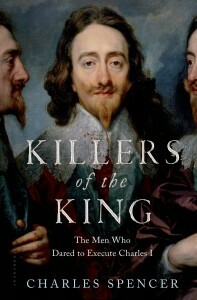 Killers of the King: The Men Who Dared to Execute Charles I by Charles Spencer is available from Amazon and other fine book retailers. I have long been a fan of Filson, the venerable Seattle-based purveyor of durable clothing and accessories made in the USA. Now comes some great news. 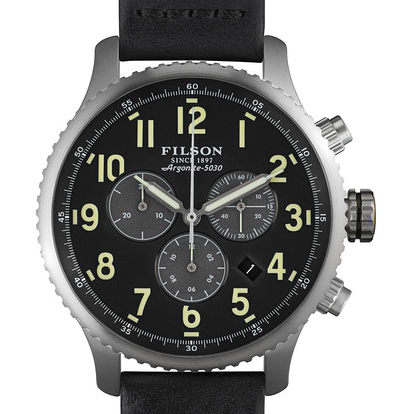 Filson has partnered with Shinola of Detroit to launch a new line of watches, and they are fantastic. I like the Mackinaw Field chronograph watch. 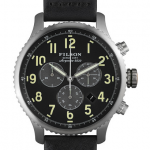 Check out the Filson and their new watch collection here. See all the coolness that is Shinola of Detroit here. Music is truly a universal language and has always been a source of comfort for those in the most challenging of circumstances. The African Children’s Choir has helped children find hope by bringing their music to the world. Learn more about The African Children’s Choir and how to support them here. 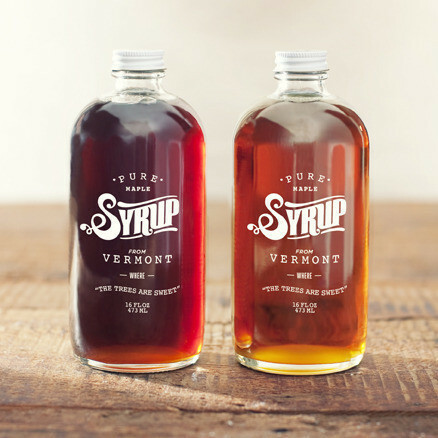 There is a rumor that spring is finally in the air back in New England – which means the maple sap should be flowing, which in turn brings to mind the great 100% Pure Vermont Maple Syrup I found from the Syrup Souvenir Shop. 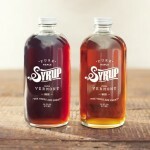 Visit the Syrup Souvenir Shop online here. I love cookware that looks as good on the kitchen shelf as well as it functions on the stove or in the oven. 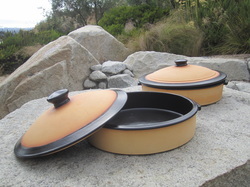 Which is why I love the Flameware Line of stoneware from Oso. 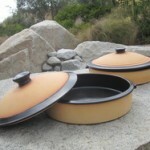 Learn more about the Flameware Line of stoneware from Oso here. It is almost cookout season and I plan to take full advantage of it this year. 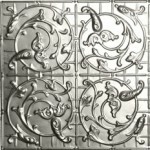 I have been on the lookout for unique charcoals to use to mix things up from the traditional charcoals and gas grill. Which is how I came across the Thaan Thai-Style Charcoal from Pok Pok and I can’t wait to try it. Learn more about Thaan Thai-Style Charcoal from Pok Pok here. Thaan Thai-Style Charcoal comes from Portland, OR’s Pok Pok. Among the things I miss most about the old New Hampshire homestead are the little architectural features in the house. 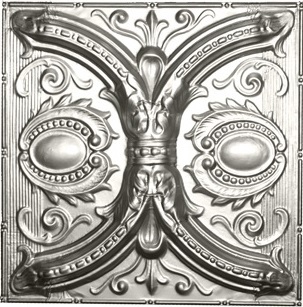 Things like the pressed tin ceiling in the mudroom. I’ve spent hours laying on the couch by the wood stove out in that room looking up at the old school pattern and wondering why no one still makes such things for modern homes. 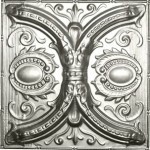 Well, it turns out I was wrong – there are folks that still making tin ceiling patterns using classic techniques – like the fine folks I found at the W. F. Norman Corporation. Check out the fine tine Ceiling patterns of the W. F. Norman Corporation here. Learn more about W.F. Norman Corporation here. It is hard not to be amazed by the creative (and intellectual) talents of Leonardo da Vinci. The more you learn about the man the more you admire him. Perhaps no one in history has been so creative in so many realms of life than Leonardo da Vinci and it only makes sense for us to try to learn just what was going on in his mind. That is the basic concept behind the book, Leonardo’s Brain: Understanding Da Vinci’s Creative Genius by Leonard Shlain, which will make you feel a little smarter and like a total slacker at the same time. 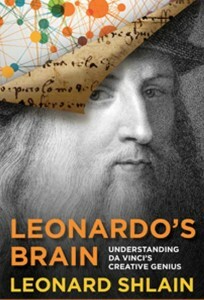 In the gifted hands of Leonard Shlain, Leonardo’s Brain is not as scholarly as it sounds. It is definitely smart, but it is very accessible and provides the reader with a lot to consider about this great mind and what it means to be creative. 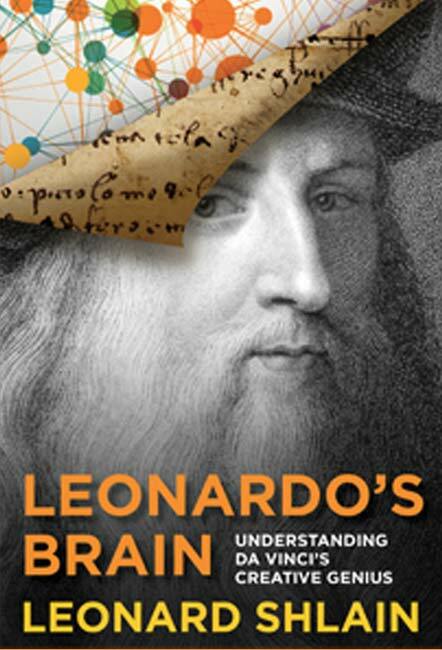 Leonardo’s Brain: Understanding Da Vinci’s Creative Genius by Leonard Shlain is available from Amazon and other fine booksellers. 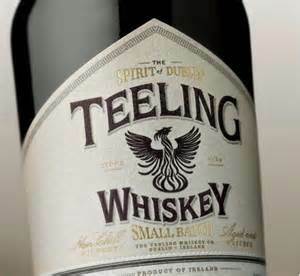 …sipping some might fine Irish whiskey in the form of Teeling Whiskey. 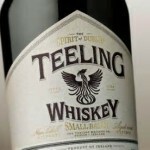 Learn more about Teeling small batch Irish Whiskey here. 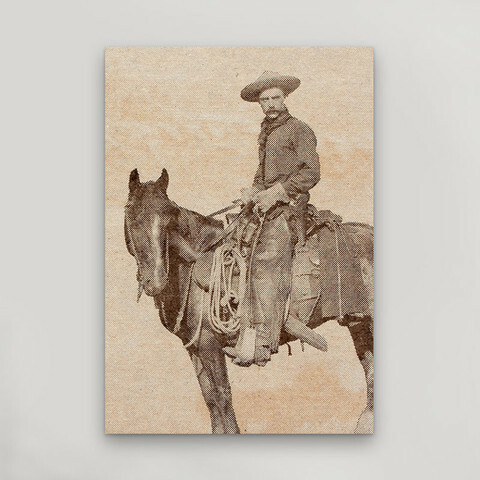 Lost Cowboy is powered by	WordPress 5.0.4 and delivered to you in 1.000 seconds using 58 queries.